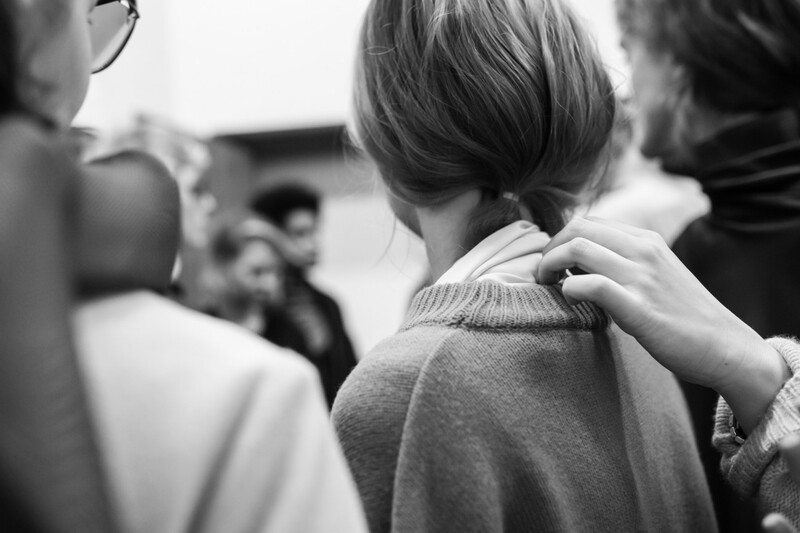 It is a long way to go until a fashion collection is ultimately shown on stage. 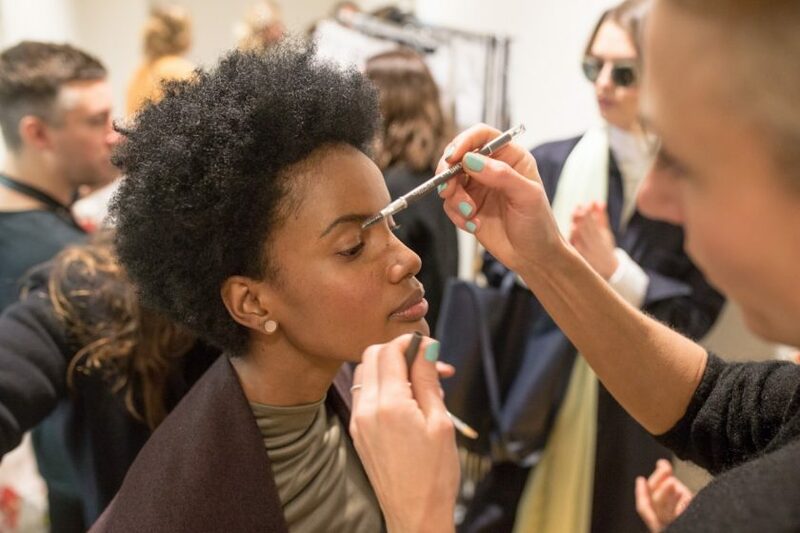 Even after every idea is transformed into a garment, after the models are selected, and a location is found, there are many things left to do before the first model steps on the runway. 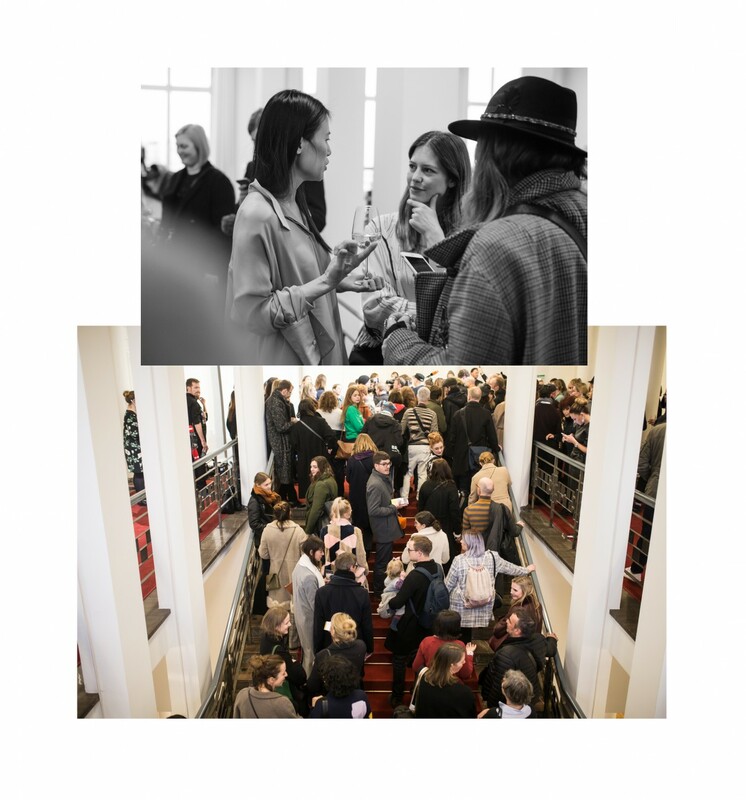 To wrap our heads around what the preparations for a show actually entail, we captured the bustling and energetic backstage atmosphere of Berlin based label Perret Schaad. From hair and make up to the decoration of the venue, from tight spaces to stressed out designers, a lot remains unseen to the audience showing up just minutes before the actual show begins. 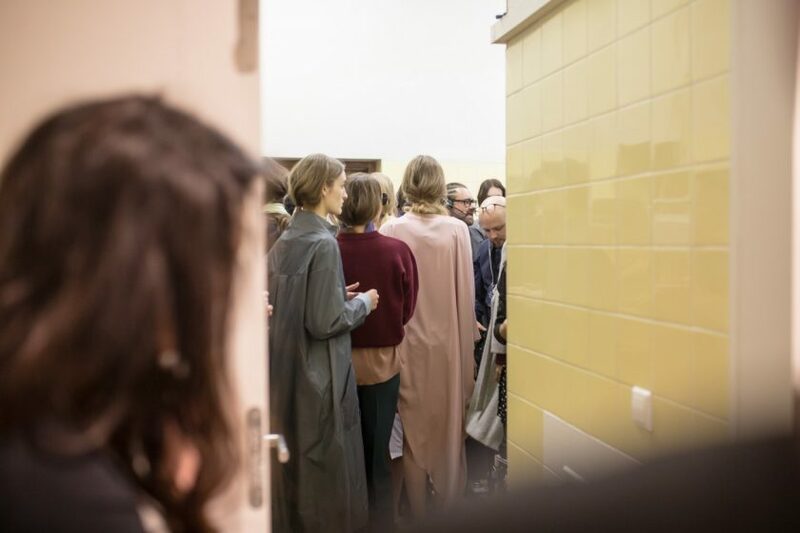 Along with the unconventional presentation of Perret Schaad’s clothes at the Berliner Salon, we tried to catch some impressions of these hidden backstage procedures. 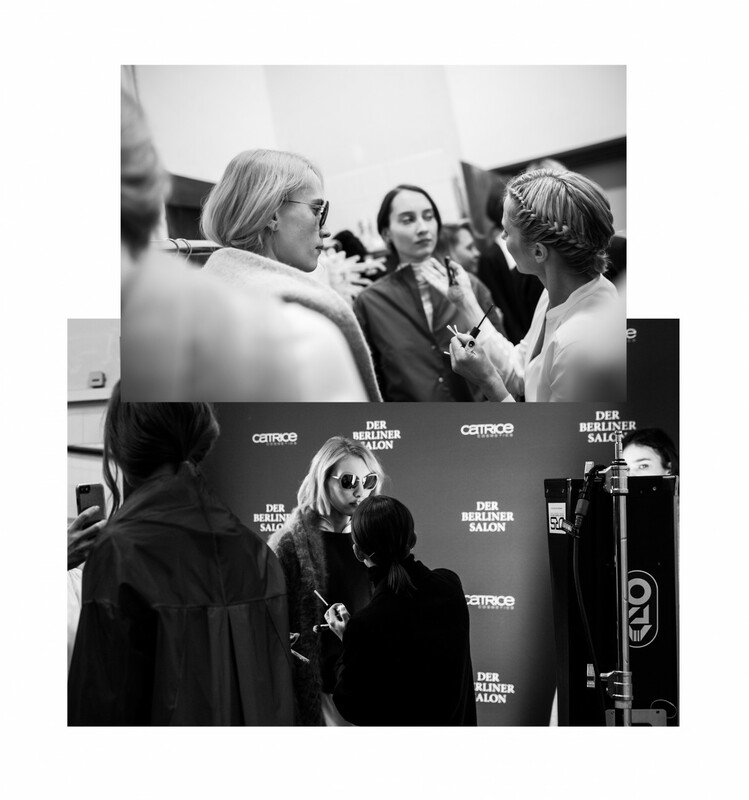 You can get a glimpse behind the scenes of a Berlin Fashion Week show, of the fashion-excited audience, and the collection with our exclusive “backstage mini editorial” by photographer Wong Wannawat. 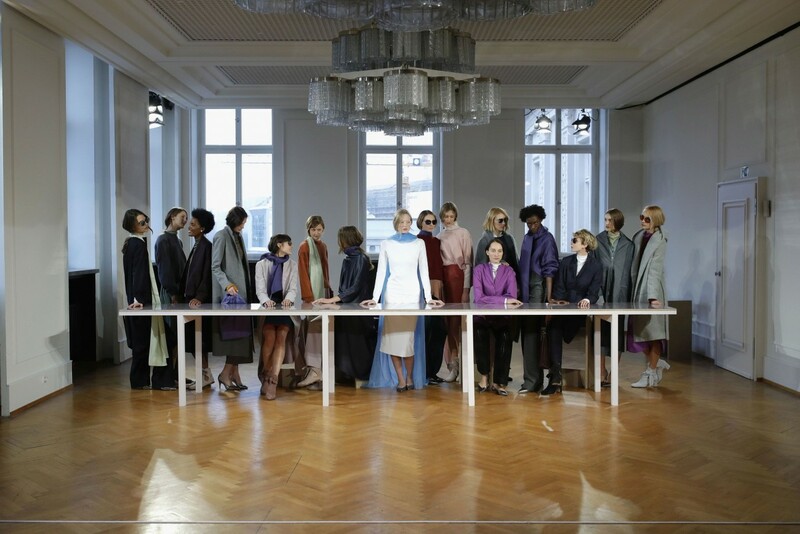 With their presentation, Perret Schaad turned away from classical runway shows and instead took everyone to the former dining room at Kronprinzenpalais in Berlin Mitte. One by one the models entered the room and lined up behind a white table vis-à-vis the audience. With the models standing in groups of two or three, making conversation, and only few of them facing the spectators directly, the whole scenery looked like a still from a time when the room was used for its actual purpose. 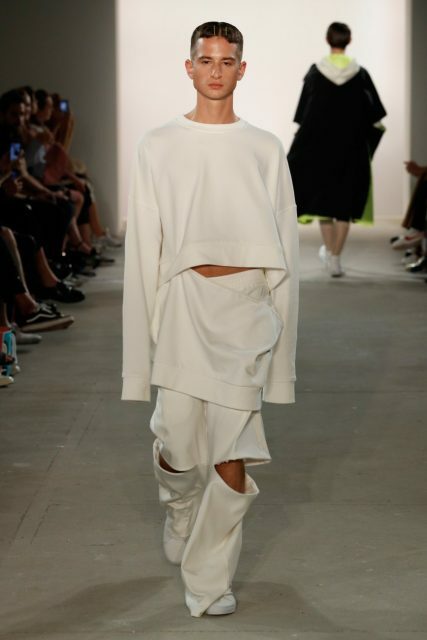 By stepping out of their formation, the models inhabited the space between the table and the viewers, allowing them a closer look at the particular looks of the collection. 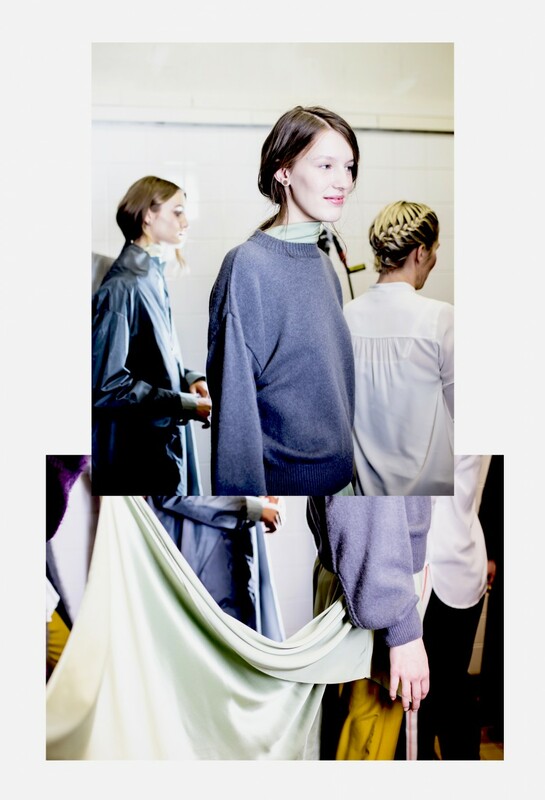 Floor-length scarves, muted grey coats, and plain dresses characterized the presentation which assembled garments from previous collections (dating back until 2011) by designers Johanna Perret and Tutia Schaad. 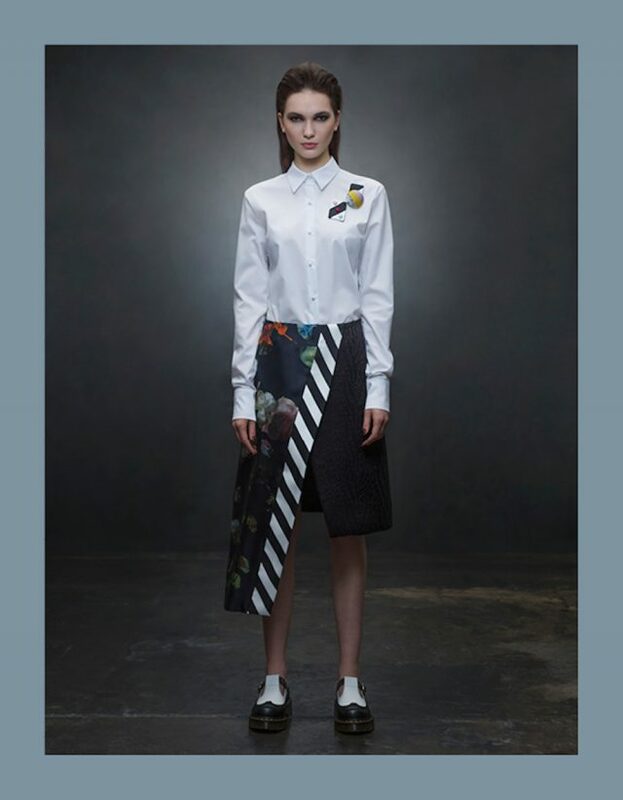 Made to be worn by „independent women, who break through boundaries and seamlessly move between roles, cultures and places“, Perret Schaad’s modest, yet colorful pieces create a harmonious impression of contemporary feminine chic. 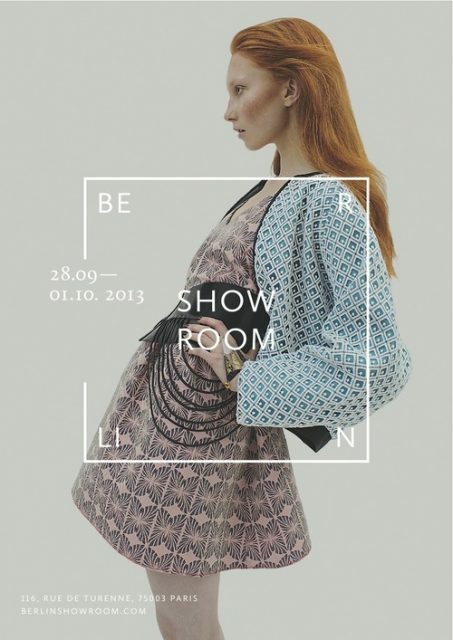 With this aesthetics, the collection was definitely one of our Berlin Fashion Week favorites.